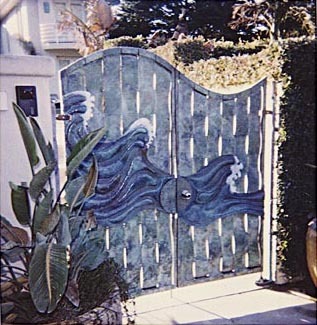 Copper gate in La Selva, CA, on Manresa Beach. Built to last in ocean environment with a stainless steel frame and copper plate. Shaped with forge, press and repousseé, then patinaed to achieve 'ocean' colors. Size: 6' by 6'.